The three-word phrase caught fire in the final stages of Donald Trump’s campaign. For many of his supporters, it meant cleaning out lobbyists and special interests from politics. But Trump also suggested a federal hiring freeze and eliminating entire federal agencies. 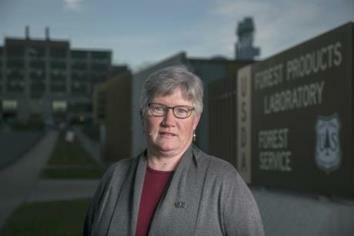 Melissa Baumann, a U.S. Forest Service chemist and NFFE-IAM member, believes the rhetoric was directed at her. She lives in Madison, WI, more than 800 miles from Washington, DC. Less than 10 percent of the federal workforce lives in the DC metro area. Baumann told the Associated Press that the problems in Washington “have nothing to do with the people outside the Beltway,” who are doing honorable work under difficult circumstances.